Toggle Switch has three settings: Automatic,Manual and Off. In the “Manual” position, the motor is constantly on. Fits: Standard-size radiator filler necks, including Moroso Nos. 63420, 63465, 63466, 63467, 63485, 63486, 63650, 63651, 63655, 63656, 63730, 63740 and 63745. 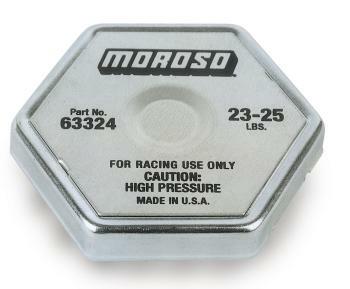 Kit consists of three restrictor plates with 5/8”, 3/4” and 1” I.D. holes for optimum coolant flow, 2-1/8” O.D.